Ben Fish discusses his recent races and the challenges of finding his best form following the UK capital marathon. I still seem to be struggling to hit my best form since London Marathon; though I am confident that some decent results are around the corner, as I’ve been regularly hitting the times in speed sessions. I ended up running two half marathons this month, which is quite unusual for me. I decided quite late on to have a go at the Potters Arf in Stoke, a race I’ve been meaning to do for a while. Having done the Potteries marathon a few years ago, I knew it would be hilly, but there was certainly one or two tougher climbs in it that I wasn’t expecting. I was also up against formidable opposition in Matt Clowes, and his achievements speak for themselves. Matt’s quite a chirpy character, but I knew he was serious when talking about breaking Andi Jones’ long-standing course record, which would be beyond my capabilities. The first mile of the race is downhill and I found myself in the lead with Matt, after that he was forcing the pace and I hung on for a few miles. I got dropped on quite a big climb around the fifth mile, which we reached in about 25:30 or thereabouts. From that point I was out on my own, as my rival steamed ahead to victory and a new course record. My pace was still solid up to ten miles (51:36), but a mile or so further on there was a sign for ‘Heartbreak Hill’ – the only hill that warranted a name of the course – and I knew this one was going to be a bugger. It certainly lived up to its name! After that it was a downhill final mile, before crossing the finish line in a rather unspectacular 69:18. Clowes took over 40 seconds off the record with a phenomenal 66:53, which must surely be worth a faster time than his current PB (64:30-ish). It wasn’t the only phenomenal run of the day, however; Paul Swan won his age category (V55) on his first return to this race since suffering a heart attack last year. 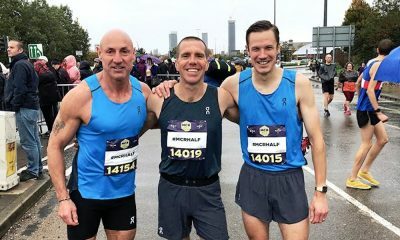 He was even back running three weeks after the incident and competed in the London Marathon earlier this year, which really is quite remarkable and it’s great to see him back on form. His story is certainly worth a whole article in itself. 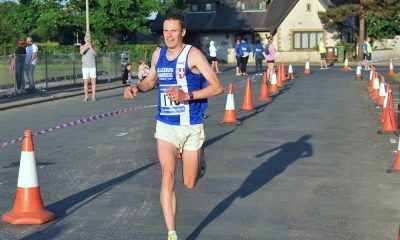 The following week would be a return to Freckleton Half Marathon, after missing last years’ race due to injury. Having won the race nine times in a row from 2007-2015, it was a great disappointment to have performed so badly in 2016 and miss the following year. So this year I was determined to put in a good performance. As the oldest half marathon in the UK (world perhaps as well? ), it’s quite a prestigious race and none other than Ron Hill holds the course record, which is around 50 years old! It certainly had the potential to be one of the most competitive races in recent history; current champion Dave Rigby was there, as was Canadian international John Mason, who has come close to winning it a few times, then there was me. It was perhaps just missing one other regular who would challenge at the front end, Rob Danson, who was still out with injury. The conditions were also very good, relatively cool and cloudy, meaning that there could be fast times as well, the 2pm start really can have an impact on a hot day! 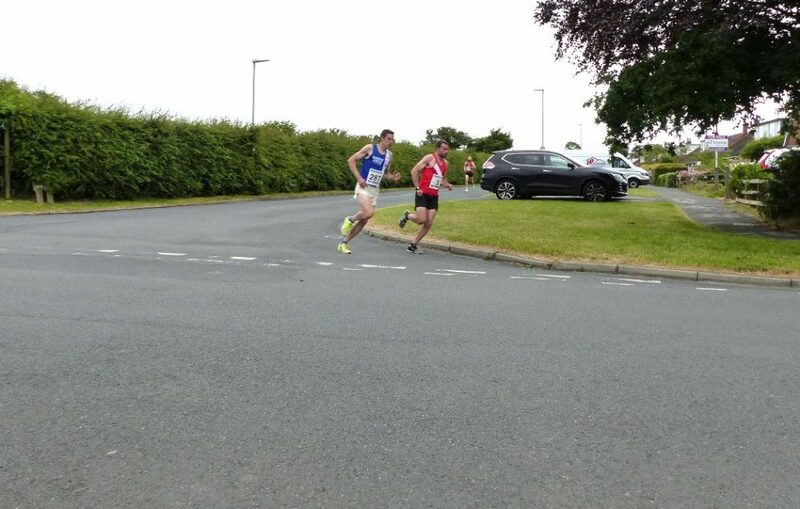 My fastest time at Freckleton is 67:38 and my plan was quite simple; to beat that time. Of course, I hoped it would bag me win number ten as well! Rigby set off in front and had the lead in the first half-mile, I felt good and decided to take it on. At this stage, Mason held back, which he hadn’t normally done before. After four miles I started putting a gap on Rigby and I hit five miles on target in 25:24. I could sense I was increasing the gap, I didn’t hear anyone behind me after seven-eight miles and pushed on a bit more. I hit ten miles at 51:25, which was around what I did at my fastest in 2012, but I could sense I was now being caught. At first, I thought it might have been Rigby, who has often finished races strongly, but it turned out to be John Mason. He came past me at 11.5 miles, and it was as if I was stood still! He must have been knocking out sub five-minute miles to catch me, My only hope was that he would blow up from such an effort, but that proved to be wishful thinking as I struggled towards the finish in his wake. In fairness, he’s been unlucky not to have won in the past and he was a well-deserved winner, running the fastest time on the course since 2001 in 67:19. My own time of 67:57 wasn’t far off what I wanted and was the second fastest I’d run here. 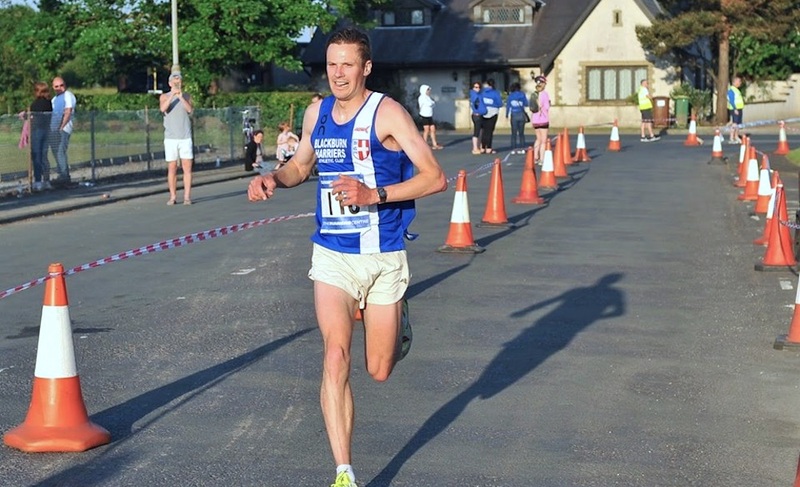 Rigby was also under 70 minutes in 69:19 making it the fastest contested Freckleton for many years. I’m not sure I could have changed the outcome with different tactics, perhaps I could have resisted the urge to run some hard miles in the middle part of the race, but I still would have needed to run the last five miles in 25 minutes, which still would have taken some doing. I fully intend to return next year and I think it will be an even faster race, especially if all the usual suspects turn up and are in good form. I’m hoping that I can sharpen up a bit more and nail some better times on the track and over 10k in the next couple of months. I feel like the marathon hangover has lasted a bit longer than usual and I’m still unsure about doing one in the autumn. I made some good progress last year and really benefitted from not running marathons, so I might take a similar approach in the second half of this year and try chasing one or two elusive PBs. 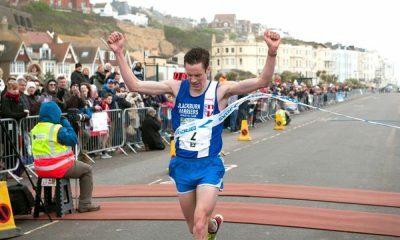 Ben Fish features in the ‘Fast 10: class of 2018’ and will share his running journey throughout the year. You can read Ben’s previous posts here and further information about the ‘class of 2018’ can be found here.